It’s not very often you find functionality AND style all in one and when you do, I would suggest you also buy a lotto ticket. Now the big question is do you buy for yourself or do you think of others (’tis the season) and give as a gift? My answer, you buy two. One for you and one for them and that way everyone’s happy, minus your bank account. 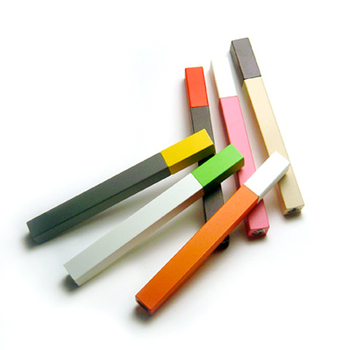 I personally like the stylish stick lighters over my ugly match books I’ve collected from random restaurants, all who lack design taste. Just make sure you don’t confuse these sleek lighters for your lip gloss. Not a good look, ladies. Check out other fun creative gadgets at A+R. Happy shopping!